Panama City Beach, Florida; a destination with over 27 miles of unparalleled beauty that runs along the Gulf of Mexico. 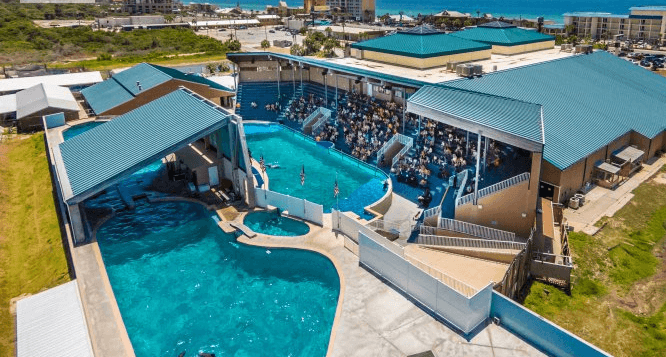 There are so many wonderful attractions in the area but our personal recommendation is to check out the family-friendly Gulf World in Panama City Beach where you can swim with the dolphins & dolphin encounter (non-swim) and exciting marine animal shows. The Dolphin Park is on Front Beach Road and east of Route 79. Once we send your ticket and written directions by email or text, you can not get lost. 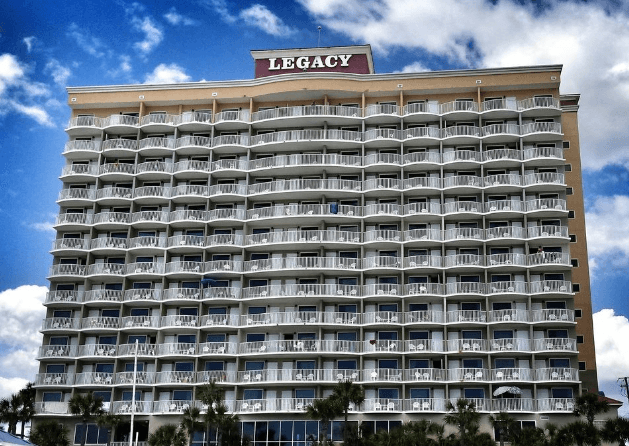 One-bedroom suites at Legacy by the Sea feature full kitchens, oceanfront balconies, and cable TV with HBO. Parking is FREE and plenty of spaces for you. 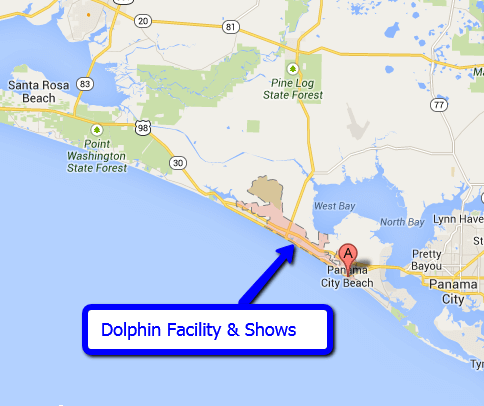 The dolphin facility is closed on Thanksgiving and Christmas day. Besides my Dolphin Program, what other activities can I expect within the park? 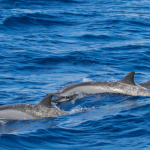 Your Dolphin program includes a day pass to our animal presentations featuring Dolphins, Sea Lions, Tropical Birds, Furry Friends and Reptiles. Also, Underwater Scuba demonstration and a Shark and Sea Turtle feeding session. Other exhibits showcasing sharks, alligators, penguins, sea turtles, flamingos, and Inside & Outside Tropical Gardens. You also get access to our Stingray Bay area. Guests can touch all day after rinsing hands. How long can you expect to stay at the park? What Kind of Activities and Shows are in the park? There are all kinds of different activities within the park.